There are a few things we liked about TNVitamins Saffron Extract. First of all, we like that the supplement is vegetarian friendly. 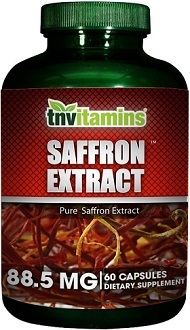 Today we review TNVitamins Saffron Extract. With the purest saffron from the Crocus Sativus L plant, this supplement can help improve your mood, help you lose weight, and even increase your overall happiness. The vegetarian formula makes this supplement accessible to everyone. The only ingredient in this supplement is 88.5 milligrams of Crocus Sativus saffron extract. Like stated, the capsule is completely vegetarian and made of only cellulose from a plant origin, gelatin capsule, and vegetable magnesium stearate. 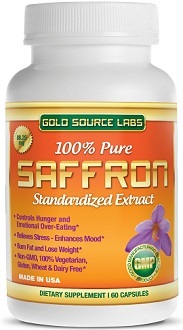 While this is not the lowest amount of saffron per capsule we have seen, it is still low when compared to the average saffron supplement on the market. The manufacturer recommended dose of this product is two daily capsules, one in the morning, and one in the evening, both with a meal. Even taking two capsules per day keeps the dose of this supplement very low when compared to other saffron extract supplements we have seen through our research. While the Manufacturer Suggested Retail Price is $24.99, it is currently for sale on the manufacturer’s website for only $9.99. If you order $50 or more, you will be eligible for free shipping. While this low price is attractive, it is also worrisome. With saffron as one of the most expensive herbal plants, such a low price can be indicaticative of a lack of quality of this product. The manufacturer does offer a 90-day money back guarantee on its products. Should you find yourself unsatisfied with this product within the first three months of use, you can contact the manufacturer to start the return process. Along with the unused portion of your supplement, the manufacturer does request that you send a note stating your reasons of dissatisfaction along with your return. Once they receive the return of your product, they will issue a full refund. This product also does not yet have any customer reviews. The lack of reviews concerns us over the quality of the product. Many manufacturers make sure to get customers to leave positive reviews, and without any reviews, we are worried about how well this supplement works. There are a few things we liked about TNVitamins Saffron Extract. First of all, we like that the supplement is vegetarian friendly. Also, there is a good money-back guarantee offered by the manufacturer, should you not like the product. Unfortunately, there were many things we did not like about this product. 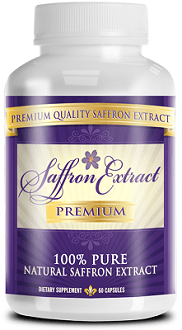 While the only main ingredient is saffron, there is a much smaller dose in each capsule when compared to other saffron supplements available. 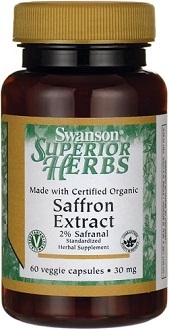 Even with a dose of two capsules a day, you will not reach the amount of saffron in even one of the other supplements. Also, the low price of this supplement did cause us concern, as the price of saffron is so high. Lastly, without customer reviews, this product does not seem to be as effective as the manufacturer wants us to think. For these reasons, we cannot recommend TNVitamins Saffron Extract.